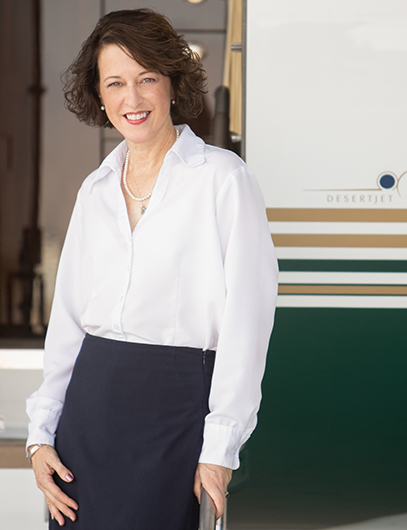 Denise Wilson founded Desert Jet in 2007 with the intent of bringing the desert’s corporate flight departments together as a cooperative to reduce the cost of aircraft operating expenses. 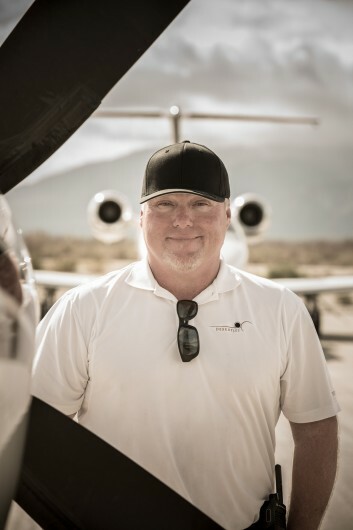 This cooperative expanded to fill the need for a quality private jet charter service in the region and soon resulted in Desert Jet landing on the Inc. 500 list of the nation’s fastest-growing companies multiple years in a row. Denise’s experience prior to forming Desert Jet includes both flying and management positions for several airlines, charter companies and corporate flight departments. Her expertise is in aircraft acquisition and management as well as in the implementation of programs to enhance the safety of flight operations. 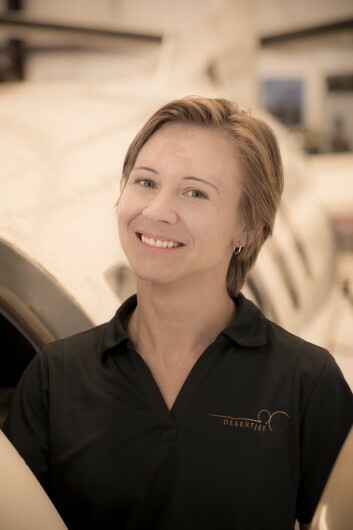 She provides turbine transition, initial operating experience and standardization training for pilots new to aircraft type, specializing in the Citation family of aircraft. Denise is qualified by the National Business Aviation Association as a Certified Aviation Manager (CAM). She has approximately 8900 hours of flight experience, with substantial pilot in command and single pilot experience in Citations (Citation Encore, Bravo, Ultra, Excel, 501, II, S/II, V, CJ, CJ1, CJ2, CJ3). She has type ratings in the Citation 500 and 525 series, Gulfstream III, Boeing 737, Hawker 1000, Westwind, Saab 340 and Challenger 300. She is also a company Check Airman. In 2014, Denise was one of six selected globally to participate in EY’s Ready, Set, Grow program held in Monaco concurrently with the Entrepreneur of the Year event. Denise was named a national winner of 2013 EY Entrepreneurial Winning Women™ program and was named one of 2013’s Enterprising Women of the Year. Denise was a finalist in Entrepreneur Magazine’s Entrepreneur of 2010 contest, in the Emerging Entrepreneur category. Denise is a frequent guest speaker. She was the keynote speaker at the American Express CEO BootCamp in Los Angeles in 2014, the Women in Aviation, International Conference in 2010 and a presenter on the topic of vetting business jet providers at the National Business Aviation Association’s Annual Conference in 2011. 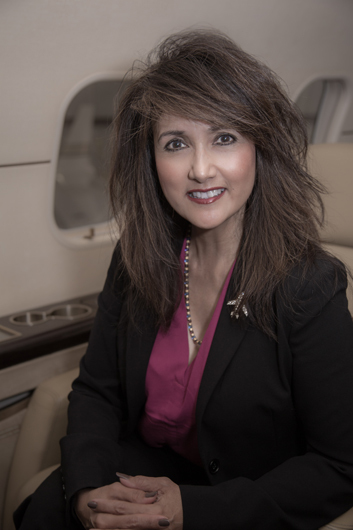 Denise is active in leadership roles as a member of the Enterprising Women Advisory Board as well as a Director on the National Business Aviation Association’s Certified Aviation Manager Governing Board and Angel Flight West's Board of Directors. Denise has been featured, published, and quoted in publications such as Inc. Magazine, USA Today, the Los Angeles Times, Business Jet Traveler, Forbes, Fox Business, Palm Springs Life, Barron’s, the Wall Street Journal, and Aviation for Women Magazine. 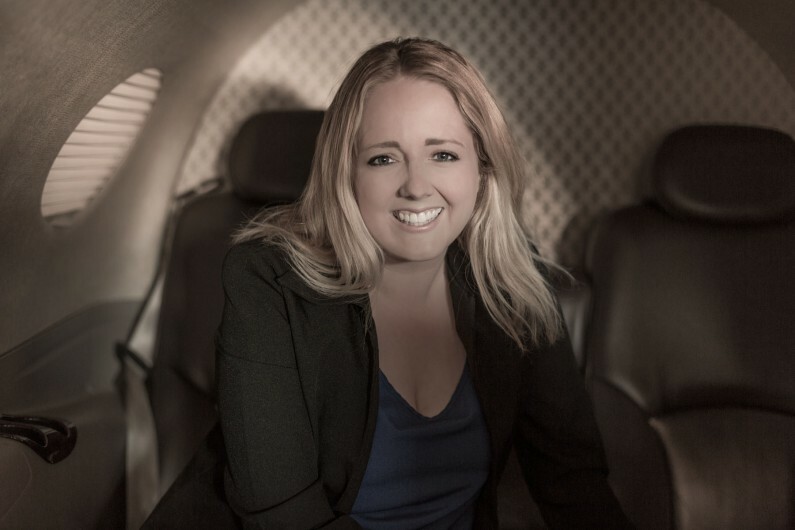 She is the author of “The Definitive Guide to Supplemental Lift”, a publication written to assist consumers in choosing a private aviation provider. She was recently featured in the book "Million Dollar Women" written by Julia Pimsleur and American Express' book, "50 Fastest Growing Women-Owned/Led Companies Guide to Growth". Denise attended the University of Southern California where she majored in Music Performance (Oboe), and attended Embry-Riddle Aeronautical University where she earned her Bachelor of Science degree and minored in Aviation Safety. She is a member of Women in Aviation, Women in Corporate Aviation, Women Presidents’ Organization, Young President's Organization and the National Business Aviation Association. 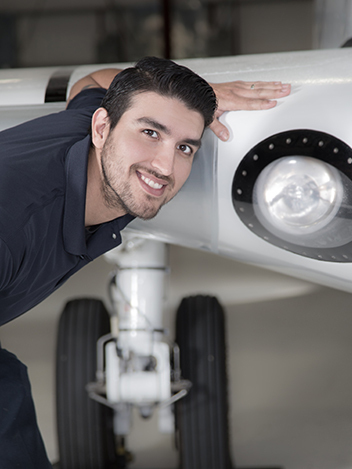 Another one of our Coachella Valley natives, Roman first fell in love with business aviation when he was eighteen. Even though he had never been around aircraft before, his passion was sparked from the moment he heard that first engine start. Since then he has worked in a variety of roles in aviation, from line service technician, customer service, to management. Apart from work, Roman is involved in many activities. His love for the outdoors and trying new things has him engaging in group yoga, football and hiking. Roman is also passionate about volunteerism, as you can find him at local charity events lending a helping hand. James has been passionate about aviation from an early age while growing up next to a small airport in Massachusetts. 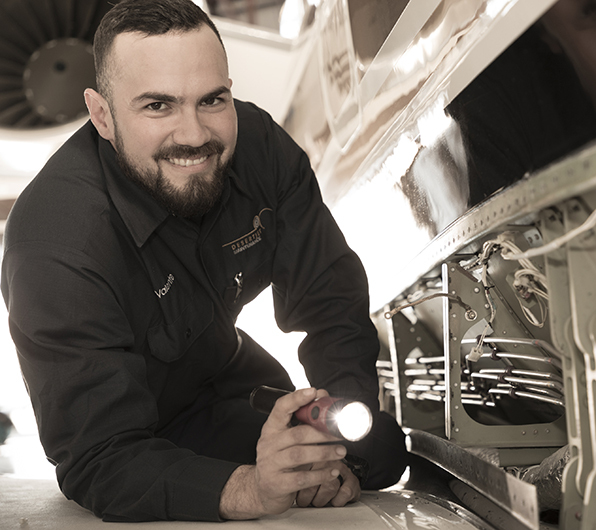 He started taking flying lessons as a teenager, but soon found his mechanical inclinations lead him to pursue a career in aircraft maintenance. James graduated from the National Aviation Academy with his Airframe and Powerplant License, as well as an FCC License and NCATT Certification. 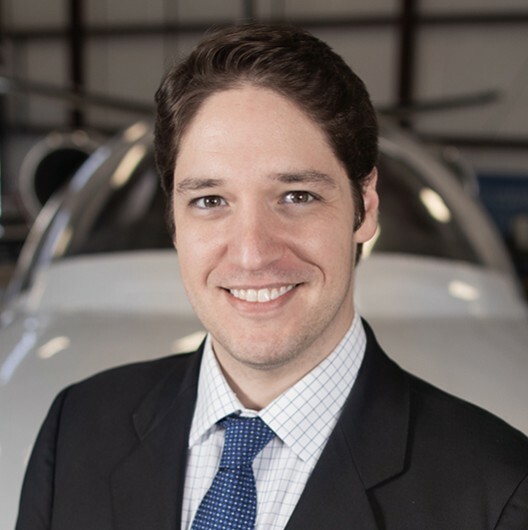 James has multiple years of experience with various models of corporate jet aircraft. He has previously worked for Bombardier, Embraer and a leading AOG maintenance provider. James was also an adjunct professor at a community college in Massachusetts where he could spread his passion for aviation and knowledge of aircraft maintenance to the next generation of aircraft technicians. James spends his free time hiking and traveling with his wife as well as volunteering with church youth groups. 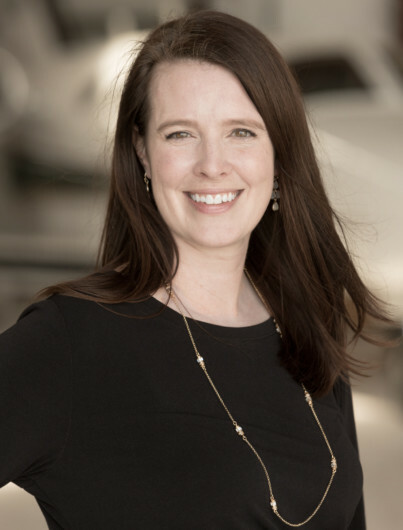 Chris began her marketing career in business aviation services more than 12 years ago, working for an East Coast Part 135 private jet charter and management company and its affiliate FBO. She established the companies’ marketing department and led successful rebrand strategies and initiatives through multimedia and digital marketing, advertising, PR and event activities. She established greater brand awareness and recognition for her previous company, locally and nationally, increasing sales activities and profitability. Chris also launched several internal communications initiatives which contributed to better workflows, increased efficiencies and promoted a positive company culture. She relocated back to California and worked for an aviation services company which included marketing aircraft for sale and a Part 145 Maintenance and Repair facility. She led a successful brand merge and launched a new website and fresh marketing collateral. Inspired by Desert Jet's CEO and Founder, Denise Wilson, and the values and culture she instilled in her companies and employees, Chris soon joined Desert Jet and moved to the desert to become a part of a remarkable company focused on growing together as a team. Prior to aviation, Chris worked for an entrepreneurial consulting firm where she brought in new franchise opportunities for business ownership. She negotiated franchise agreements with C-Suite executives and founders to expand their business models, and then marketed the opportunities to the franchise consultants through training sessions, seminars, webinars, conferences and website. 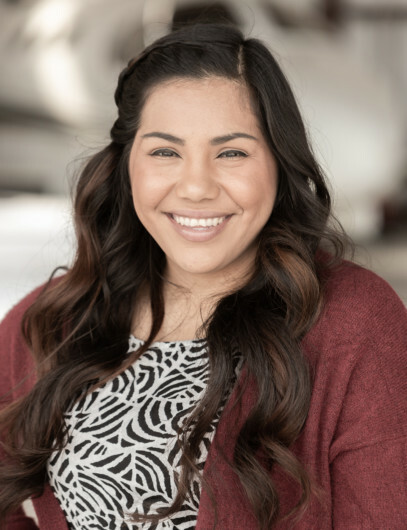 Dedicated to her role as the Chief Marketing Officer for Desert Jet, Chris will develop and implement a marketing strategy to increase brand awareness, presence and recognition for the company's product lines to increase market share and brand loyalty. She will bring her strong passion for excellence, high work ethics, creativity, analytic skills and enthusiastic determination to enhance the company culture and continued success of the brand. In her spare time, Chris enjoys cooking, socializing and is a foodie. She loves to hike and ride her bike by the beach and is looking forward to doing the same in the desert. As Desert Jet's Chief Operating Officer, Toby oversees the day-to-day operations of the company’s three business divisions and ensures the effectiveness and efficiency between cross-functional teams. As a key member of the executive leadership team, Toby is instrumental in providing leadership and developing the culture around our core values, ensuring high levels of engagement throughout the company. Toby’s previous experience over the last ten years includes the position of Director of Mission Control for a large national operator and operational control functions with a national aircraft fractional operation. He is a certificated pilot and aircraft dispatcher. Toby is also a certified scuba diver and enjoys flying drones, biking and swimming with his two-year old daughter. 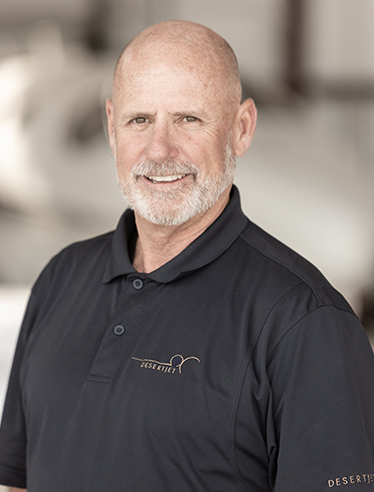 Rob Wilson has over 25 years of flying experience and is qualified by the National Business Aviation Association as a Certified Aviation Manager (CAM). His previous experience includes the positions of Director of Operations and Chief Pilot for several charter and corporate flight departments. Previous to beginning his corporate flight career, Rob was a Captain, Check Airman and standardization pilot for a large national airline. Before he started his flying career, Rob was a producer, engineer, consultant, and on-air talent at a number of radio stations across the country, including KIFM and KGB-FM in San Diego and WNUA-FM in Chicago. Rob produced “A Touch of Jazz”, a syndicated weekly radio program on over 90 stations that featured contemporary jazz and was hosted by radio legend Allison Steele, New York’s “Nightbird”. He also ran his own production company, recording jingles and background music for radio station’s musical logos and commercials. Rob has over 11,000 hours, over 9000 of this as pilot in command. He has type ratings in the Citation 500 and 525 series, Citation Mustang, Saab 340, Hawker 1000, Westwind and Challenger 300. He is the company’s Check Airman in the Mustang. Rob attended Embry-Riddle Aeronautical University where he majored in Professional Aeronautics and was on the Dean’s List. Najib is a captain on the Gulfstream 200 for Desert Jet. He has over 9000 hours of flight experience including several years as the Director of Flight Operations for a Part 91 flight department. Najib is a world traveler, having lived in Asia, Europe and Africa. Najib is viewed by his peers as a problem-solver and a great communicator. His hobbies include anything and everything aviation, watching and playing sports, traveling and classic cars. Jeffrey Irvine was born with a love of aviation. 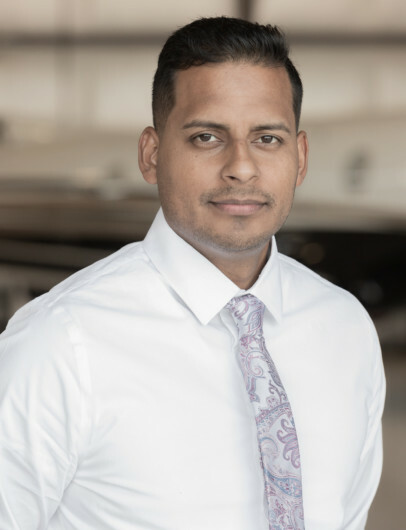 He has a passion for all aspects of aviation – from piloting the plane, to instructing future aviators, to ensuring his passengers have the best flight experience possible. You can always expect a firm handshake and a smile when you meet him. Jeff attended Utah State University where he graduated with a BS degree in Aviation Technology. From there, he became an independent flight instructor for a small company in Ogden, UT where he was able to start a “Education in Aviation” program in local schools. This program helped to educate high school students on possible career choices in aviation, and gave them an opportunity to discover flight. Jeff enjoyed teaching so much that he secured a full-time position at a flight school in Phoenix, AZ where he taught for three years. Jeff was a captain and check airman for a large cargo operation prior to joining Desert Jet. Jeff speaks German fluently as he lived in Germany for a couple of years doing service for his church. Jeff enjoys the outdoors and has spent many hours volunteering with the Boy Scouts of America as a Scout Master. He has even been known to slip in a few opportunities to earn the Aviation Merit Badge. He loves the game of golf, watching movies with his family, and finding ways to make someone’s day brighter. Jeff is married to the love of his life, a German red-headed beauty, and together they have two amazing boys. You could say his hands are full, but he wouldn’t have it any other way. Todd is a Captain on Desert Jet's Citation Bravo and Challenger 300. 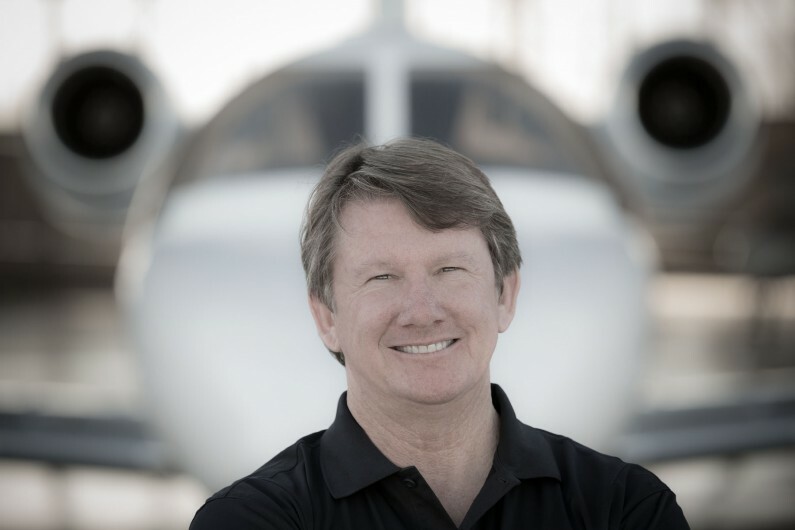 Previously, Todd was the founder of a small aircraft management company which he ran for several years before joining Desert Jet. Todd is a perfect fit in his role as a pilot, with an adventuresome spirit and a love of seeing and experiencing new places. 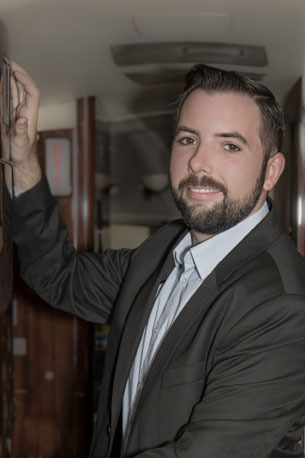 Not only does he enjoy the charter lifestyle of flying to a variety of new places, but he also enjoys backpacking, camping, and bicycling (both mountain and road) throughout the West Coast with his young family. Todd is originally from the Pacific Northwest where he attended Walla Walla University, Majoring in Business Administration with a minor in Aviation Technology. Stacy was born and raised in a suburb outside of Columbus, Ohio. Stacy graduated from Otterbein University in Westerville, Ohio with a degree in Sports Management and a minor in Business Administration and Marketing. Before that, she received an Associate of Science degree from Columbus State. Her first job was at New Albany Country Club as the Golf Shop Attendant, which started her on her country club career path. Her next position was Assistant Clubhouse Manager at Montesoro Golf & Country Club in Borrego Springs, California. 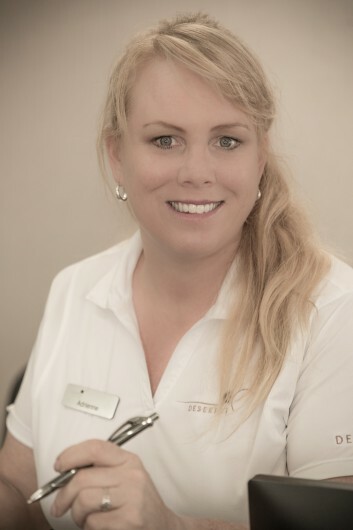 Stacy began her career with ClubCorp in 2009 at Porter Valley Country Club in Los Angeles. During her tenure with ClubCorp, she was also the Member Relations Director at Braemar Country Club in Tarzana, California. In 2013, she became the Member Relations Director at Mission Hills and has had the joy of working at an unbelievable club with an outstanding team who have become family for the best members a private club could have on their roster. She has been told that her greatest strengths are her sincerity and ability to build relationships. Stacy has two children and enjoys playing golf, hiking, exercising, and traveling with her family. Dillon was born in Vail, but grew up in Meeker, Colorado. 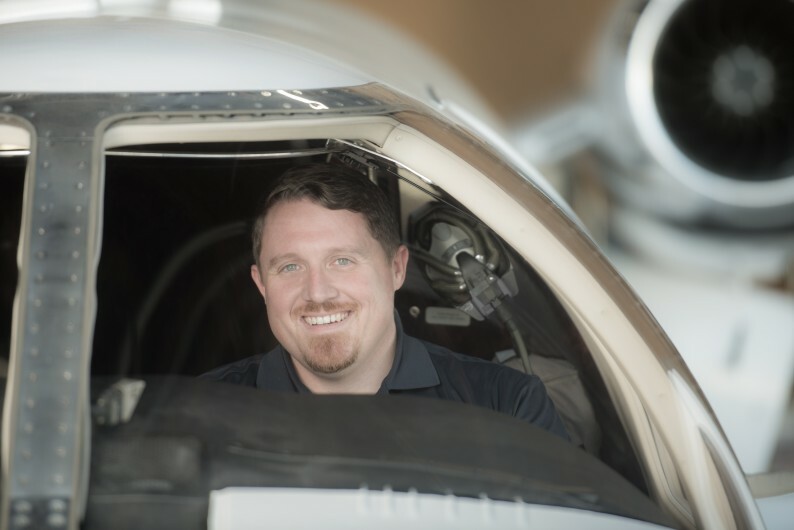 After high school, Dillon attended Colorado Northwestern Community College where he completed flight training up through Certified Flight Instructor Instrument and graduated with an Associate’s Degree. He then went to Metropolitan State University of Denver where he pursued a degree in Aviation Technology with a concentration in becoming a Professional Flight Officer. After college, Dillon moved to San Diego where he was a Flight Instructor. He then relocated to Atwater, California and flew tailwheels as an aerobatic instructor. Dillon’s next move took him to Omaha, Nebraska as a freight pilot. Following a friend’s recommendation, Dillon moved to Orange County where he flew in the Pilatus PC-12 and Citation CJ2. While in Orange County, he also completed his Airline Transport Pilot certification. Two years later, Dillon came to Desert Jet because of the company’s distinguished reputation and the network of support and consideration given to their employees. 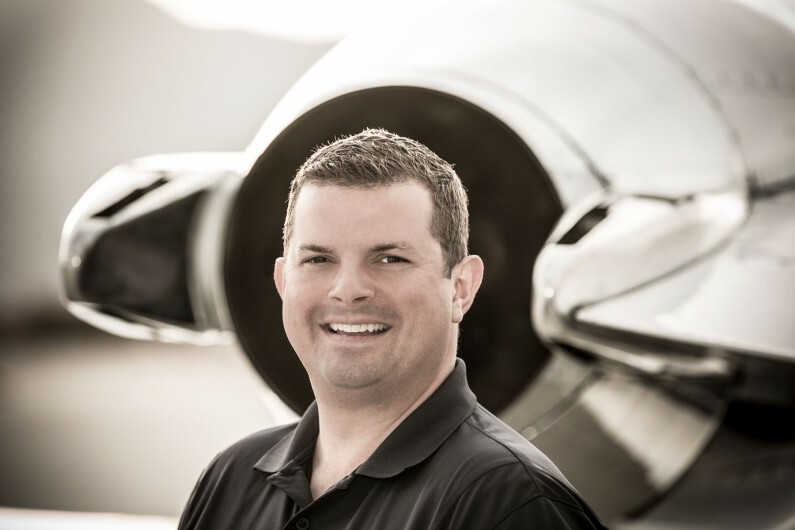 Dillon currently flies the Citation CJ3 as a captain for Desert Jet. Steve’s aviation dreams began at an early age, sitting at the kitchen table building World War II model aircraft with his father. He’s now living his dream as a pilot, as he embarks on his second career. Prior to joining Desert Jet, Steve’s strong technology background offered him an opportunity to work with several highflying teams and he has benefited greatly from the mentorship of notable business leaders while at Apple, Author-It, DonJoy, and Promptu. Steve is a graduate from the University of Southern California and attended Cambridge University, England as a Joan Metcalf Schaefer Extramural Scholar. 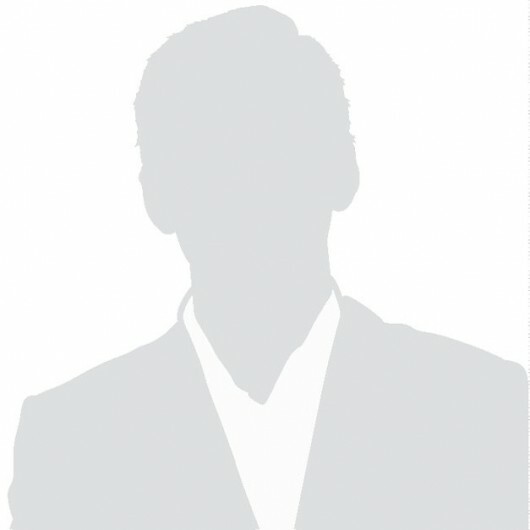 He holds a Bachelor of Science in Accounting and Finance, a minor in Computer Science and is an adjunct Professor of Aviation Science at Orange Coast College. Steve lives in La Quinta, is married and has two children. Steve enjoys USC Football, Anaheim Ducks hockey, cycling, golf and history. He enjoys spending time with his family and gives back through his service to Boy Scouts of America, Operation Help a Hero, Mission Hospital Regional Medical Center Foundation and Puerto Rico Hurricane Relief. Born and raised in the Netherlands, Manon graduated with a Bachelor of Arts Degree in Communications, Marketing and Commercial Management with honors, and a Master of Science Degree in Media Psychology. After moving to the United States she successfully completed a business and management program at UCLA with distinction. Previously, she worked with prominent international events, world-class commercial brands, a broad range of entertainment companies, and several governmental institutions. 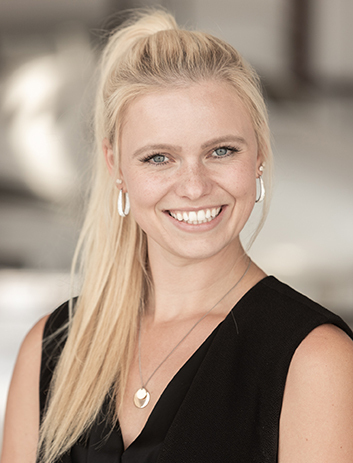 In the position of Charter Sales for Desert Jet, Manon can combine her passion for marketing, sales, coordination, and aircraft! Manon has traveled over 50 countries and aims to travel all 50 U.S. states. She loves to travel and go on adventures, but also enjoys spending time at home in the Coachella Valley with her husband. In her spare time, she writes and runs a nonprofit organization called ‘Stronger by Sharing,’ motivating people to share their stories and support others in difficult times. An initiative Manon started after publishing her first book ‘13 Diamonds – Life Before Death from a Child’s Perspective’ about losing her mother when she was twelve. When there is time left, Manon works on her golf swing. So far, great potential, not much success! Carpe Diem. 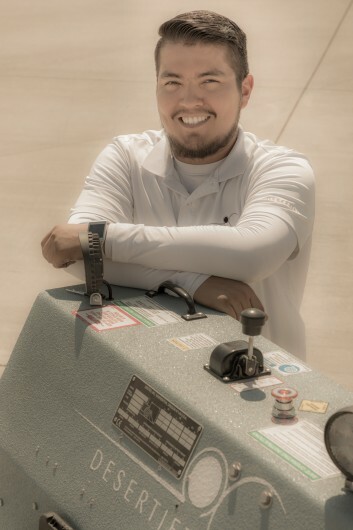 Paul Rodriguez joined Desert Jet with more than six years’ experience in aviation. Paul has both an A&P license and FCC license and has worked on commercial airliners as well as business jets. His experience includes the Boeing 737-400/700/800/900/900ER, Embraer 120,175, Bombardier CJS 200/700/900 and Learjet 35/36. A true native of the Coachella Valley, he was born and raised in Indio, California, where he still resides with his wife and two young daughters. 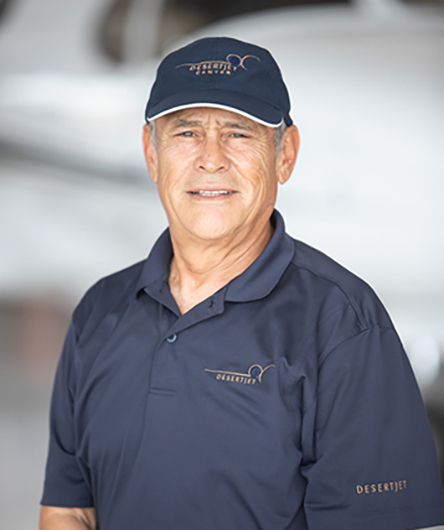 Valente Camarillo joins Desert Jet with more than 18 years’ experience in aircraft maintenance. Valente attended Red Stone College in Los Angeles, California, where he earned his A&P license. Previously with SkyWest, he became crew leader and spent four years in a supervisory role. Valente was born and raised in Indio, California, and enjoys spending time with his family, playing his guitar and Barbequing on his days off. Jorge is a Coachella Valley native with a strong work ethic and a helpful heart. When he’s not spending time with his family, you can find him at any one of the amusement parks around the area. Jorge has a passion for sports, whether it be playing or watching football, baseball and basketball. He gives back to his community and coaches softball at Coachella Valley High School, where his passion for sports shines through. 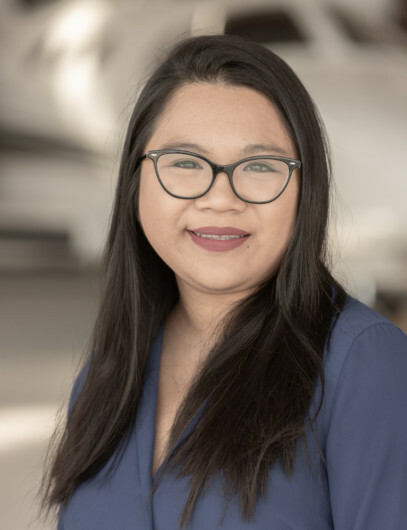 Born to an American Military and Foreign Service family in Taiwan, Republic of China, Diana traveled the world widely in her early years, including her father’s posts in Germany, Saudi Arabia and Iran, before finally settling in Southern California. Her decades of professional experience span many diverse fields of aviation at Los Angeles International Airport (LAX) and Burbank Bob Hope Airport (BUR), including extensive FBO experience accommodating aircraft ranging in size from single engine props to airline scale jumbo jet executive conversions. She also worked in airline air freight services, airline aircraft maintenance, airline refueling and many other facets of airport ground service activities, including AVI (live animal) specialty air cargo handling. Diana received formal FBO Guest Services training at Hemmeter Aviation in Honolulu, Hawaii. During her previous tenure in FBO Customer Services she received a number of notable special merit recognitions, such as one from the United States Air Force Space Division for excellent accommodation and support in overseeing a US Defense Department refueling contract at LAX. Another was received from Saudi Airlines and the Consul General of the Kingdom of Saudi Arabia for overseeing the travel needs of the flight operations of the Saudi Royal Family at LAX. During this time, she was also recognized for customer service excellence in a number of prominent industry publications both in the USA and in Europe, such as Professional Pilot Magazine and Aviation International News Magazine, as well as Business Aviation & Regional Transport Magazine (BART International). She was proud to have been officially appointed to the European Business Aviation Airports (EBAA) and Handling Committee as the North American Advisor. Diana has a beloved canine “child,” an Irish Setter who is also a show dog, having earned his AKC Championship Title and endeavoring to earn his AKC Grand Champion Title. Diana is a member of State and National Irish Setter Clubs. Her Irish Setter has appeared with his sibling in a national automobile television commercial that aired Spring of 2017. In Diana’s personal time, she is a sporting dog fancier, she enjoys outdoor adventures, she delights in gastronomy and she is keen on current events. Diana is very fond of spending time with her family, dearest friends and her canine child. Mike joined the Desert Jet Center team as a Line Service Technician after a 20 year stint in his family's business of building and supplying cars and equipment to movie studios in Los Angeles. Mike moved from LA to the desert to find a better environment in which to raise his kids. His hobbies include classic cars, martial arts playing the guitar and of course, spending time with his family. Adrienne was born and raised in Los Angeles. She graduated from Loyola Marymount University with a Bachelor’s of Art in History. After graduation Adrienne moved to England for the summer polo season and worked as a polo groom. She has also worked as a polo groom in France, Spain Switzerland, California, Florida and the Hamptons. After that, she worked in equine veterinarian hospitals, as a show jumping groom and managed a conditioning center for horses. She moved from Aiken, South Carolina and moved back to California to be back on the West Coast. She had loved the desert when she worked in the polo industry, so she decided to come back. Adrienne came to Desert Jet because she wanted to learn more about aviation and she is constantly seeking to know more about it every day. Away from work, Adrienne loves to travel, read and watch movies. In the future, she hopes to be able to visit her friends she’s made over the years and travel more of the world. Luis is a desert native having been born in Indio and raised in Thermal, California. After high school, Luis attended the College of the Desert and graduated with an Associate’s of Science Degree in Computer Science. 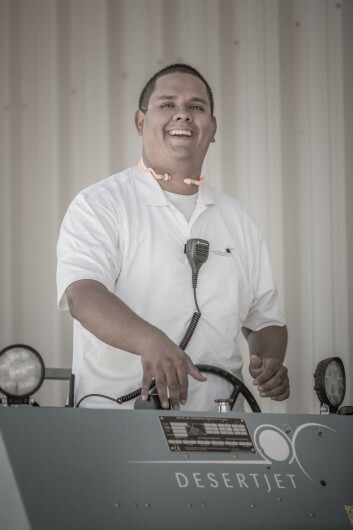 Luis initially joined the Desert Jet team as a Line Service Technician. 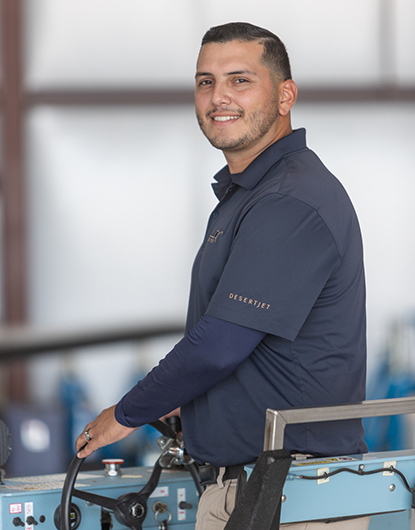 His interest in aircraft maintenance led him to join the Desert Jet Maintenance team as a parts clerk with the intention of eventually becoming an aircraft mechanics. Away from work, Luis can be found off-roading, shooting and working on cars. Luis always has a smile, and it spreads to the rest of his team. Tawni is a Southern California native and fell in love with aviation early on. Living near Santa Monica Airport (KSMO), she was fascinated by the airplanes, from Piper Cubs to Lear jets passing one hundred feet over the automobile traffic on Bundy Drive for landing. One summer, she decided she might want to learn to fly. All it took was a thirty minute Cessna Discovery Flight and she had found her passion. She made her first solo flight shortly before joining the United States Air Force where she spent 6 years combined active duty and California Air National Guard as a fighter jet armament systems specialist. During this time she received unit commendations for achieving flight leader of her graduating class, outstanding job performance and early promotion. Upon completing her active duty tour, she received her private pilot certificate and, soon after, her instrument rating. She joined an aero club with an equity share in 4 aircraft where she accumulated most of her flight hours in a Cessna Skylane. 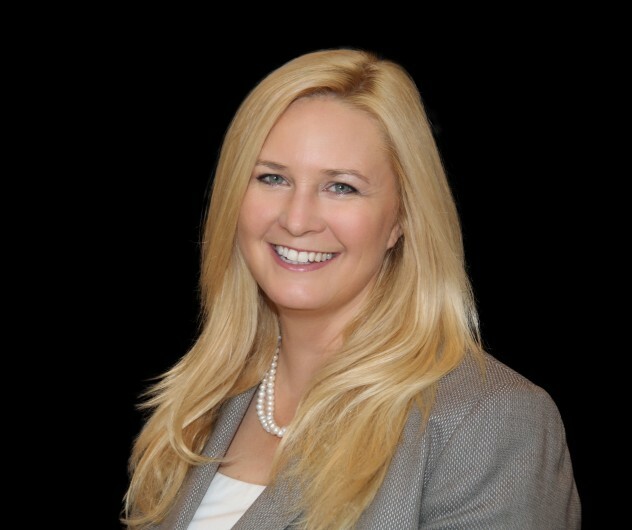 Tawni attended Embry Riddle Aeronautical University, with a major in Aeronautical Science. However, an opportunity to start her own windshield repair business unexpectedly presented itself and she decided to leave school to pursue the chance to be her own boss. It was during this time that the importance of customer service was deeply ingrained as the cornerstone of her business philosophy, and discovered she really enjoyed meeting and helping people. An independent survey revealed that over 97% of her customers would use her service again. In her free time, she enjoys fitness walking, cycling, inline skating, virtual flying (simulation) and spending time with friends and family. Tawni plans to own a Stearman PT-17 someday. Her favorite aviation-themed book is “A Gift of Wings” by Richard Bach. Bryan was born and raised in Los Angeles and moved to the Coachella Valley in 2013. 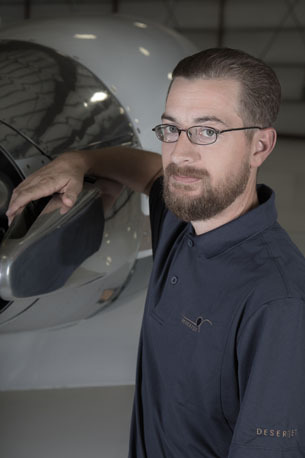 He joins Desert Jet Center with more than eight years of aviation experience. He currently attends Universal Technical Institute to pursue a career as a Diesel Technician. Bryan enjoys watching sports and working on autos, diesel trucks, and motorcycles. He volunteers his time coaching kids at the American Youth Soccer Organization whenever possible. Born and raised in Mexico City, Angel came to the U.S. in 1971 looking for better employment opportunities. Angel worked as an industrial mechanic for ten years and an optical technician for five years prior to working in line service at KTRM. He now joins Desert Jet with more than 12 years of aviation experience as a line technician. Angel enjoys history, sports, cars and motorcycles. He is extremely happy to be a Desert Jet team member!